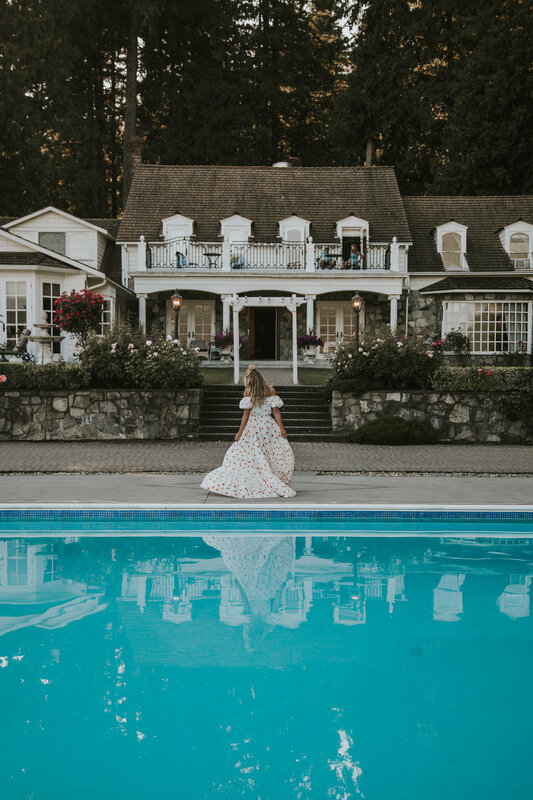 Wearing this beautiful Caroline Constas dress at Rowena's Inn On The River left me feeling like I was living in a Fairytale! The off the shoulder detail of this dress, and all of the volume in the skirt, makes it so much fun to wear - Perfect for a warm summer night on the river. I am so in love with Rowena's Inn On The River, too - It is the perfect little getaway spot, with the most stunning pool & old manor - Definitely makes you feel a million miles away and like you've stepped back in time. We spent the day at the pool and then ate at the beautiful outdoor patio, listening to the birds and watching the sun set behind the mountains - A magical time & place!